Here is a guide on how to enable or disable Game Mode in Windows 10 (Creators Update and Fall Creators Update Version 1709). Game Mode in Windows 10 (Creators Update or Fall Creators Update) is specifically designed by Microsoft for computer gamers who want a better gaming experience. When Game Mode is enabled, it will get rid of unwanted lagging and frame rate lacking to prioritize CPU and GPU resources for playing video games. 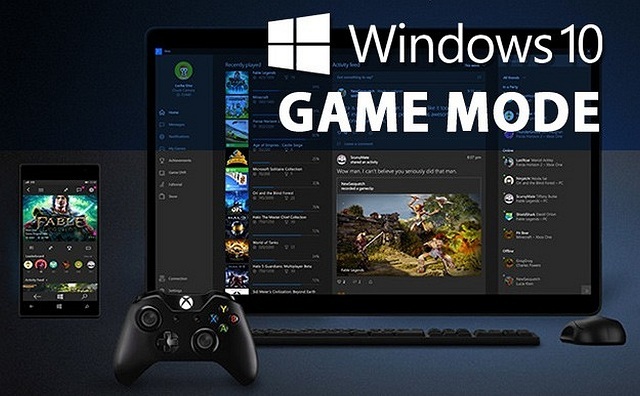 Note: According to Microsoft, after you enable Game Mode in Windows 10, some games is able to enable Game Mode automatically, but most aren’t able to do that, and you still need to do extra steps for a specific game or application in Windows 10. To disable Game Mode in Windows 10 Creators Update, just uncheck the ““Use game mode for this game” box. The toggle to control the Game Mode to be “On” or “Off” in the Settings is gone in the Windows 10 Fall Creators Update. But you could enable or disable Game Mode in Windows Fall Creators Update from the Windows registry. Step 1. Open the Windows registry. Right-click the Start button, then select Run. Type “regedit” and hit Enter. Step 3. Locate the key called “AllowAutoGameMode”. Note: If there’s no this key, create the AllowAutoGameMode key. Right-click inside the right panel, select New>DWORD (32-bit) Value and rename the new value “AllowAutoGameMode”. Step 4. To enable Game Mode, set the value to 1. To disable Game Mode in Windows 10 Creators Update, change the value to 0. If you have any opinions about how to enable or disable Game Mode in Windows 10 (Creators Update or Fall Creators Update), please share with us in the comments section below. How to ppen the Windows registry? Hi Phil, thanks for your feedback. There has been an update for the post.